What will you do to raise money for HortAid in 2015? HortAid aims to raise as much money as possible to help horticulturists in need of Perennial’s support. In 2014, we raised more money than ever before to help those who require our services. Our “Go Green for HortAid” event in September 2014 raised more than £10,000 and will be back in the first two weeks of September 2015, bigger and even better. But fundraising for HortAid can take place at any time of year – so whether you want to do something daring or daft, we want you to join us in raising money for Perennial to help us do even more. If you’re looking for a fundraising challenge then visit our ideas page, submit your event, and we’ll add you to our map and help promote your event and fundraising page. Help Perennial change lives. Our work depends entirely on the generosity of the horticulture industry and the garden-loving public. In order to continue supporting horticulturists in crisis, we need your help in raising money. HortAid is our umbrella campaign for all fundraising activity. So get your thinking caps on and let’s make our 2015 HortAid campaign the most spectacular and successful ever! Perennial is often described as a ‘lifeline’ by the people we help. Your fundraising will make a real and lasting difference to lives. Online – The easiest way to get your sponsorship money is by setting up a page via JustGiving (www.justgiving.com/Perennial). Sponsor Form – You can also download our HortAid sponsor form, and get your friends and colleagues to support your fundraising. Don’t forget to make them tick the GiftAid box! Don’t forget to tell us what you’re doing to raise £175 and send us photos and video of your event. You can share your story on our Facebook page, tweet about it on Twitter, or email marketing@perennial.org.uk. Host a cocktail party – and dress to impress! Wear green to work – and if that’s not unusual (given many horticulturists wear green) how about a green onesie, morphsuit, green pyjamas or even an Incredible Hulk costume for the day?! Dare to go green in as funny a way as possible and nominate a friend to join you (use #daretogogreen on Twitter) –how many people can you join together to GO GREEN for HortAid…..
Or you can let the garden and the environment be your inspiration! There’s a gym outside your window – get out in the garden and get fit in the process – why not ask friends and neighbours if they need a hand in their garden in exchange for a donation to Perennial? Walk, run or cycle to work for a week – you can donate the money you save in transport costs to Perennial AND get sponsored by colleagues to boot! Host an impromptu ‘Garden Open’ event with voluntary donations and tea and biscuits! Do you look after a green space? Could you arrange for a charity match to be played one evening? A great family event and brilliant fundraiser…. Whatever you do, don’t forget to tell us about it! View our latest list of events for HortAid 2015! We started the year in fantastic style with more than 300 people attending the Party for Perennial, raising more than £20,000! 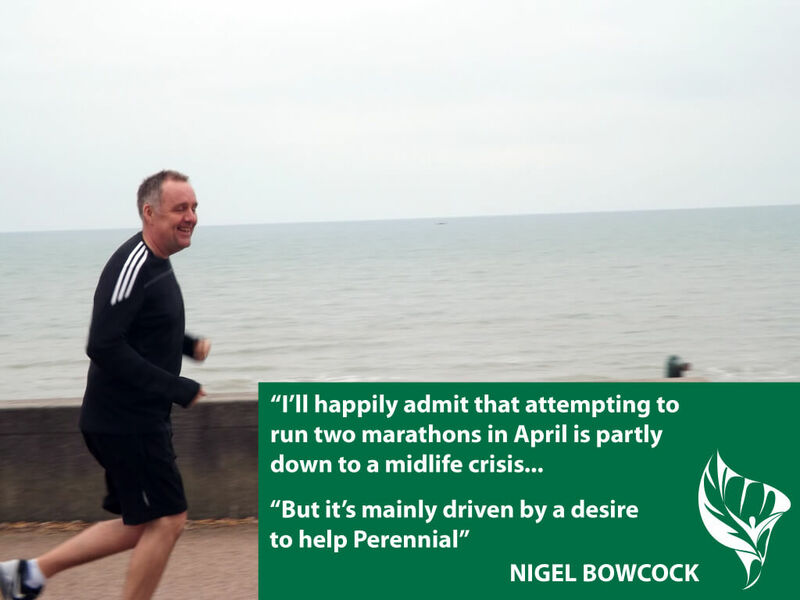 Nigel Bowcock, owner of Acre Landscapes Ltd and BALI board member is running two marathons in two weeks to raise money for Perennial. 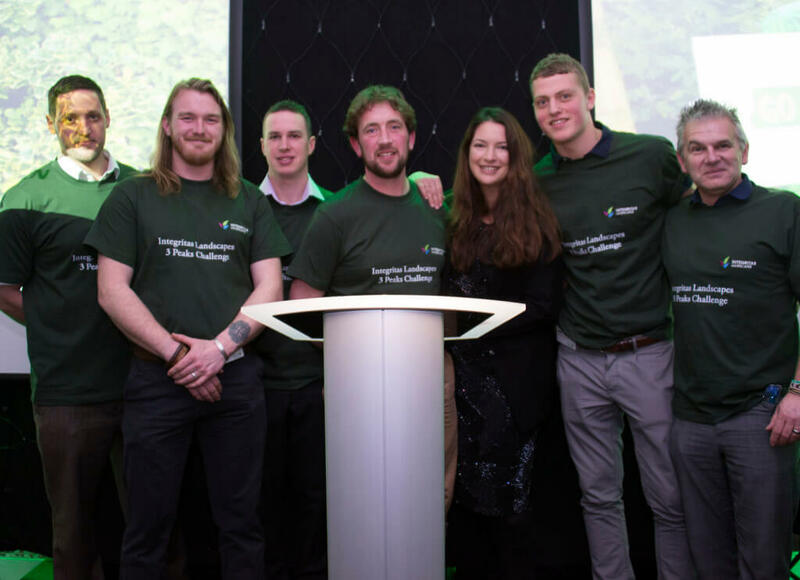 His company, Acre Landscapes, will match donations pound-for-pound up to the value of £5,000! Join our Grubby Gardeners and get down and dirty for a fantastic mud run in Kent! It’s the second year they’ll be tackling the daunting 12K, 20 obstacle course in Paddock Wood. You do not need to be a fitness fiend to get round! Find out more by emailing our HortAid team, or send a Tweet to @gardening_greek! It’s not too late to sign up for the day, or to register your interest in a skydive at another time of year! Email our HortAid team for details. Create your JustGiving sponsorship page! Fancy running along some of the most famous streets in the world, on an awe-inspiring route through central London? Join the Perennial team for the British 10K London and be part of one of Britain’s biggest mass-participation sporting events. Find out more and book your place on the team by emailing our HortAid team. 1-14 September – Go Green for HortAid! Will you wear green make-up, or don a green costume? Will you walk, run or cycle to work for a fortnight? Will you hold a green tea party for your friends and colleagues? Will you recycle your unwanted mobile phones, or jewellery? Will you hold a plant sale? Will you dare to sit in a green gunge tank? Our website will Go Green from late July with plenty of inspiration and stories to help you fundraise during the fortnight. Join the ‘Go Green’ team and take part in the ultimate muddy obstacle course! Set at Swires Farm in Dorking, the legendary Nuts Challenge course has more than 100 obstacles within the 7km course. Join our team of cyclists and tackle one of the UK’s most famous cycle routes! 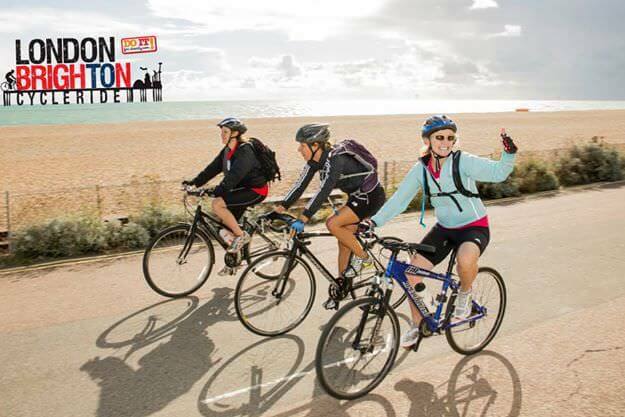 Starting on Clapham Common, you’ll be making your way through Mitcham, Carshalton, Chipstead, Banstead, Haywards Heath and finally to Brighton having completed 54 miles! Contact us and let us know what you're planning to do to raise money for Perennial's HortAid campaign. If you have a JustGiving page, share the link with us and we'll help you promote it.